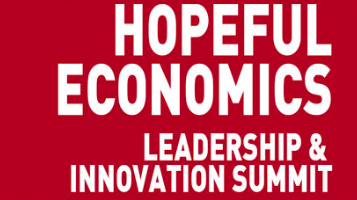 Hopeful Economics was a social business conference in Vancouver, hosted by SFU’s Community Economic Development department. Authentic was hired for our Digital Marketing skills to increase web traffic and sell tickets ahead of the event. In a short window, we sold our the event. The event itself was a lot of fun, and the Hopeful Economics organizing team did an amazing job of bringing together bright minds in social business. Authentic ran a business consulting and marketing consulting booth at the event, to introduce social entrepreneurs to key tools and concepts to help themselves develop their businesses. We covered Market Segmentation, Business Model Generation, Lean Entrepreneurship, and taught clients how to develop Customer Development processes. Authentic did an SEO analysis on our website recently. They listened to our needs, explained recommendations, and helped us decide on an overall plan. We were impressed with their promptness, attention to detail, expertise and creative ideas. I'm sure that Authentic and their skills will be an asset to our business.